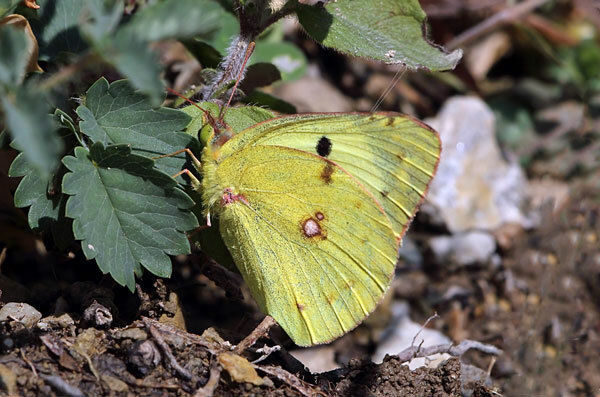 This species closely resembles the Pale Clouded Yellow. The male has lemon-yellow underwings. The female has whitish forewing undersides with a yellow tip. The top surfaces are never seen at rest. It is widespread and locally common across most of central Europe and the Mediterranean. It is recorded as a rare migrant in southern England. Its habitats are calcareous grasslands and rocky slopes where the larval food plant grows. There are two or three broods from May to October. Larvae feed on Horseshoe Vetch and Crown Vetch. This species is not believed to face major threats at the European level.